Texas Longhorn is a breed of cattle with long horns. The horns have an upward turn at the tip. The cattle come in various colors. You will be surprised to know that Texas Longhorns can be found in Australia today. Australian farmers are displaying keen interest in raising the Texas Longhorns. 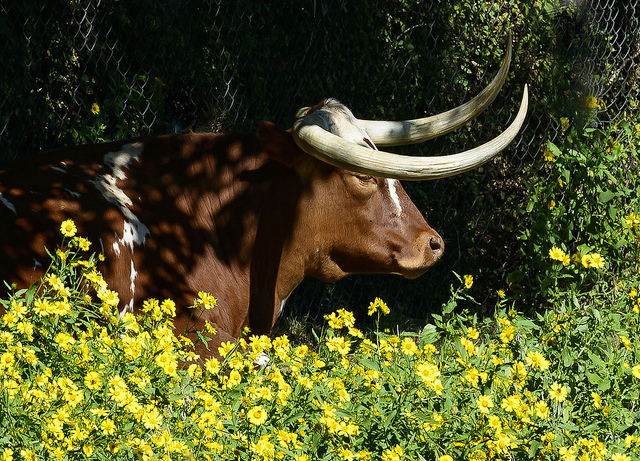 The best way in which you can relax at the Leahton Park is with a Texas Longhorn Wagon Tour. The wagon which you will be travelling in is manufactured at the Leahton Park. The comfortable wagons are covered with sprung canvas and are drawn by a pair of strong horses. You will enjoy the smooth adventurous wagon ride which lasts for approximately one hour. Catch a glimpse of the countryside up-close as you enjoy the wagon tour. Make the best of the opportunity which you get to watch the Texas Longhorns. In addition to the Longhorns, you will catch the sight of kangaroos, buffalo herd and other abundant wildlife. Make sure that you plan for a Longhorn safari well in advance. Opt for a vehicle which is comfortable and can cover all the terrains easily. If you want to escape from the hustle bustle of the city and enjoy a quiet retreat Leahton Park is the place to head to. The Texas Longhorn wagon tour is a unique experience which Queensland has to offer. As you get introduced to the hosts, you will learn about the history of the Longhorns. You will meet pleasant people during the tour and learn about the breeding techniques which are followed to raise the Texas Longhorns. If you have children accompanying you for the tour they will enjoy getting up close with the younger cattle. At the Leahton Park, you can enjoy a comfortable stay at one of the country cabins. Enjoy the breathtaking scenes of the golden sunset. In the tranquil surroundings, it is ideal to unwind with a book and sip ice cold wine. It is the green pastures which are a visual treat. You will not have to worry about the safety of your children as they wander around in the secured property. You can start your morning with a lovely breakfast as the hosts join you for company. Learn about the different travel stories and share light moments of laughter. As you camp in the comfortable cabins, you can enjoy the overcooked damper and billy tea. The Charter Towers are easily accessible from the farm. Do not miss out on the informative tour of the custom saddle shop. Learn how the saddles have been crafted. Apart from raising the Longhorns, some of the artisans work at saddlery. They will design magnificent saddles for you. Pick up one of these saddles as memento. These saddles are highly sought after among the tourists. If saddlery interests you learn the secrets of saddle making. Thus, a Texas Longhorn wagon tour in Queensland as lots to offer. Pamper yourself as you indulge in the adventures. Make the best of this fascinating tour by planning early.